Makes toothbrushing fun! Spry offers the proven benefits of xylitol. 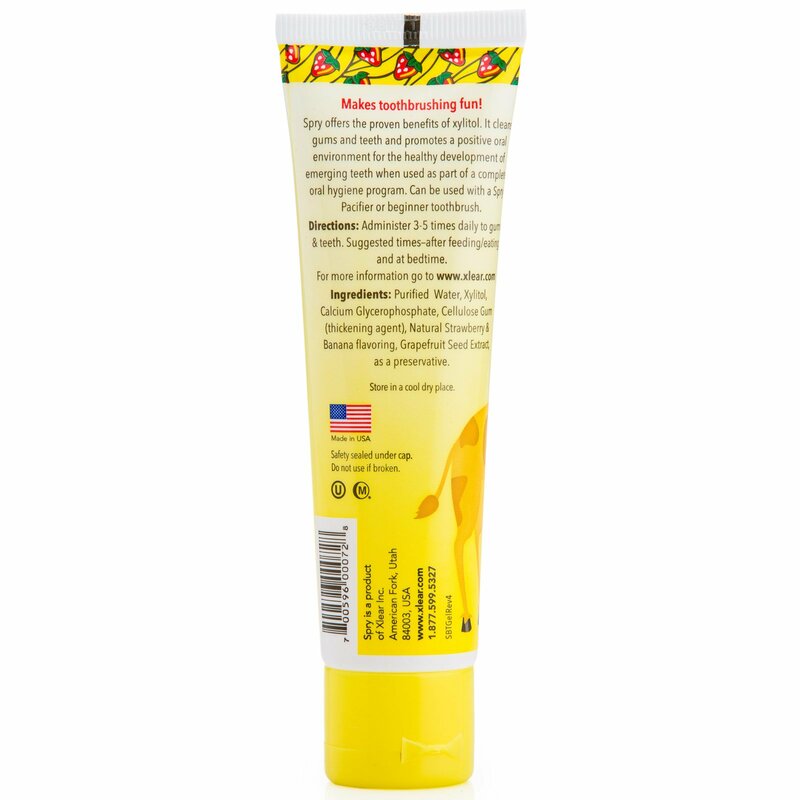 It cleans gums and teeth and promotes a positive oral environment for the healthy development of emerging teeth when used as part of a complete oral hygiene program. 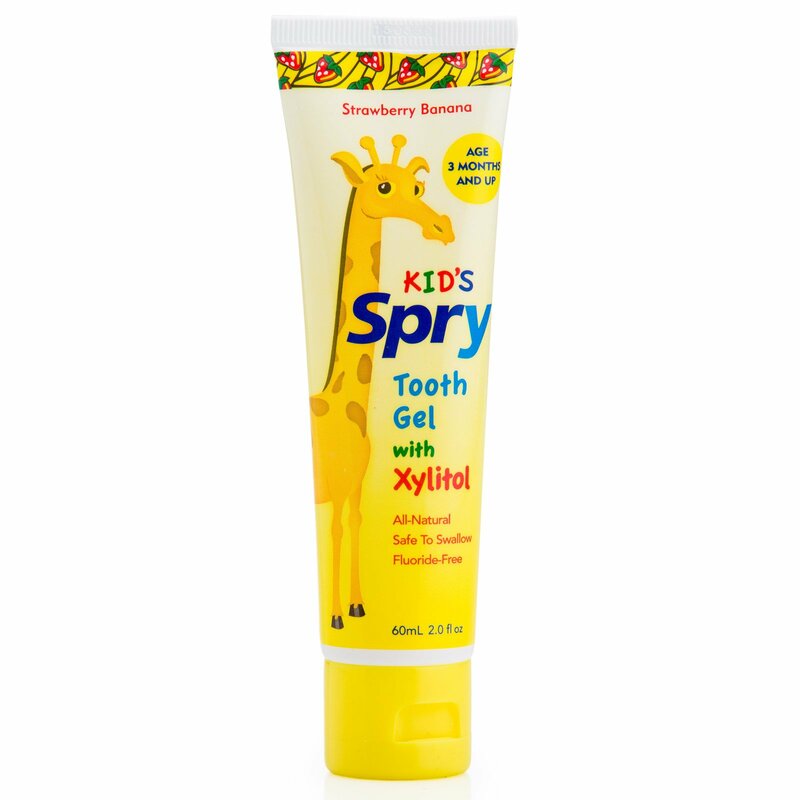 Can be used with a Spry Pacifier or beginner toothbrush. Administer 3-5 times daily to gums & teeth. Suggested times-after feeding/eating and at bedtime. Purified water, xylitol, calcium glycerophosphate, cellulose gum (thickening agent), natural strawberry & banana flavoring, grapefruit seed extract, as a preservative. Do not use if broken.